Our September 21, 2012 post introduced a few key elements of Prof. Edgar Schein’s “mental model” of organizational culture. Our focus in that post was to decry how Schein’s basic construct of culture had been adopted by the nuclear industry but then twisted to fit company and regulatory desires for simple-minded mechanisms for assessing culture and cultural interventions. Schein’s familiar model shows three levels of culture: artifacts, espoused values and underlying assumptions. In his view, the real culture is the bottom level: “Culture is the shared tacit assumptions of a group that have been learned through coping with external tasks and dealing with internal relationships.” (p. 217) The strength of an organization’s culture is a function of the intensity of shared experiences and the relative success the organization has achieved. “Culture . . . influences how you think and feel as well as how you act.” (p. 75) Culture is thus a product of social learning. Our view does not conflict with Schein’s. In our systems approach, culture is a variable that provides context for, but does not solely determine, organizational and individual decisions. How can Culture be Assessed? “You cannot use a survey to assess culture.” (p. 219) The specific weaknesses of surveys are discussed elsewhere (pp. 78-80) but his bottom line is good enough for us. We agree completely. Individual interviews can be used when interviewees would be inhibited in a group setting but Schein tries to avoid them in favor of group interviews because the latter are more likely to correctly identify the true underlying assumptions. In contrast, the NEI and IAEA safety culture evaluation protocols use interviews extensively, and we’ve commented on them here and here. How can Culture be Influenced? His basic model for cultural change is creating the motivation to change, followed by learning and then internalizing new concepts, meanings and standards. (p. 106). This can be a challenging effort; resistance to change is widespread, especially if the organization has been successful in the past. Implementing change involves motivating people to change by increasing their survival anxiety or guilt; then promoting new ways of thinking, which can lead to learning anxiety (fear of loss or failure). Learning anxiety can be ameliorated by increasing the learner’s psychological safety by using multiple steps, including training, role models and consistent systems and structures. Our promotion of simulation is based on our belief that simulation can provide a platform for learners to practice new behaviors in a controlled and forgiving setting. If time is of the essence or major transformational change is necessary, then the situation requires the removal and replacement of the key cultural carriers. Replacement of management team members has often occurred at nuclear plants to address perceived performance/culture issues. Prof. Schein has provided a powerful model for visualizing organizational culture and we applaud his work. Our own modeling efforts incorporate many of his factors, although not always in the same words. In addition, we consider other factors that influence organizational behavior and feed back into culture, e.g., the priorities and resources provided by a corporate parent. 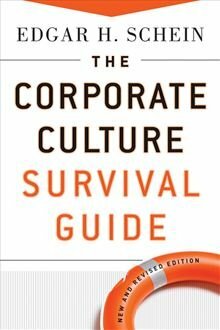 * E.H. Schein, The Corporate Culture Survival Guide, new and revised ed. (San Francisco: Jossey-Bass, 2009). On further reflection: Of enterprises (a nuclear power generating company like Excelon) and functions (nuclear safety practice) – the difficulty of mischaracterizing complex, adaptive systems to suit a pre-conceived control agenda. My concern is that a systems approach is still a pretty broad tent – Senge’s famous discussion about “mental models” is very important here, but I’m left uneasy by the statement in the prior post: “Schein’s is a useful mental model for conceptualizing culture and management responsibilities.” The difficulty is: On what “page” do we find that mental model defined? On the following pages 30, and 31, there are two figures that are taken from Schein’s assessment of a long term relationship with a once very successful corporation that eventually disappeared because if failed to mature into a robust resilient enterprise. From where I sit, the italicized text on page 27 provides what I would term “recognition criteria” – not a definition in the mathematical axiom sense. Recognition criteria – “I know it when I see it” – description does not constitute a model of a system any more than the color of your hair describes the state of your internal organs. Some conjectures may be possible, but a dynamic analysis takes more than a list of characteristics. I take it that Schein intends that if we both inquire into the why, how, and what of a specific organization, and we list some things we observe, we should be able to agree as observers whether one or both of our lists provide representations of the organization’s culture (e.g. in contrast to the perception created by reading its balance sheet). But he would not expect that we would treat those lists as a systems description. When there is talk of systems I immediately look to the figures, if there are any, to see evidence of nodes and connections; I check to see if the figure illustrates an equilibrium-seeking system (characteristic of a mature Organize and Execute enterprise like Walmart or DEC) or an open-system (characteristic of a Discover and Develop enterprise like DOE’s Office of Science establishment or the typical National Laboratory structure). There are many different symbol systems that can be used to portray a system, but there are some tests of dynamic content that must be satisfied or the representation is a figure, or illustration, not a workable model. Often models are simplified to ease of examination of pertinent features the modeler wishes to emphasize, but the basic test of dynamic validity must be satisfied or there is no way to test the “model.” The commonly noted illustration – attributed to Schein – showing artifacts, espoused values, and underlying assumptions, in a pyramid relationship, while suggestive of certain distinction among human cognitive features – reflects the grossly hierarchical character of basic and higher cognitive functions it does so only in terms of one dimension – the ordinary degree of conscious attending to their influence on decision making. In systems thinking it is often useful to reduce a model to an illustration, but much like an autopsy, the patient (i.e. model) must be rendered terminally passive in the process. The model does not survive the making of Gray’s Anatomy. Most of the difficulties I have with the “nuclear safety culture” trope are that it’s many descriptions add up to a “nukie techie” version of Gray’s Anatomy. I don’t find anything in Schein that would suggest that is what he has in mind. If we look at the figures on pages 30 and 31 we are in a position to apply the test that models incorporate fundamental dynamism. In my case, since I read the DEC history, I’m quite familiar with the manner in which Schein created a narrative around these figures – to me they are very recognizable. But are they illustrations or models of decision-making in the DEC enterprise? Ultimately that depends upon what the reader brings to the analysis table apart from any direct experience with DEC during the period of interest. There is a view that I’m comfortable with that each of these figures provides datum about values, attitudes, and behaviors that were observable at one point in the DEC life cycle. They are suggestive of how the datum can be categorized and then related in very simple stocks-and-flows fashion. Each is sufficiently dynamic to guide a conversation about cause and effect with respect to risk-reckoning and decision-making. I suspect that if you haven’t read the book, the conversation would lead to more lines of further inquiry than “ah hah’s” – particularly if you saw one figure and not the other. The other thing about citing Schein is the assumption in most of the NSC literature that whereas he talks about the whole of decision-making in the organization, it is conceptually permissible to isolate on nuclear safety aspects of deciding and develop a characterization of those that is independent of the other elements of the enterprise risk profile. I’ve point to Schein’s speech to the industry CEO’s at INPO in 2003 as evidence he doesn’t do that kind of narrowing – at all. Michael Agar is an ethnographer – I highly recommend reading this paper: “Culture: Can You Take it Anywhere”; http://www.ualberta.ca/~iiqm/backissues/5_2/PDF/agar.pdf. If I’m getting Agar correctly, he provides a system description for a “culture” representation is reliably produced. In the DEC case he would seem to say that what’s useful in the systems/modeling sense is the story that goes with the two figures taken together as a before and after change occurred. Agar’s notion of transition and translation seems to me to be the over-arching goal with all the IAEA/NRC/INPO/NEI talk about “nuclear safety culture.” If the decisions being made are too evidently imprudent, what must be understood about the present circumstance of deciding in order to find leverage for sustainable change? I think the same can be said about Schein’s inputs to the nuclear leadership ranks; his is not a body of work like Ben Franklin’s almanac – one that can be sampled at random for proverbs. Too often it seems that is what is happening in the nuclear officialdom’s references to his work. You can assess implicit values and beliefs using timed response technology and I find this more valuable than just focus groups and observations alone as advocated by Schein.